Waste Management Consultant Paul Canavan of Global Material Recycling talks positively about the range of services provided by Walker Recycling Services. 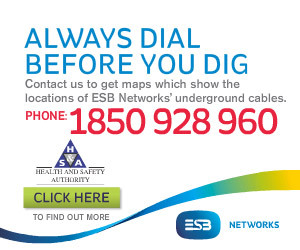 Headquartered at Clonkeen, Portlaoise, Co Laois, the progressive company has ambitions plans in place for the future. 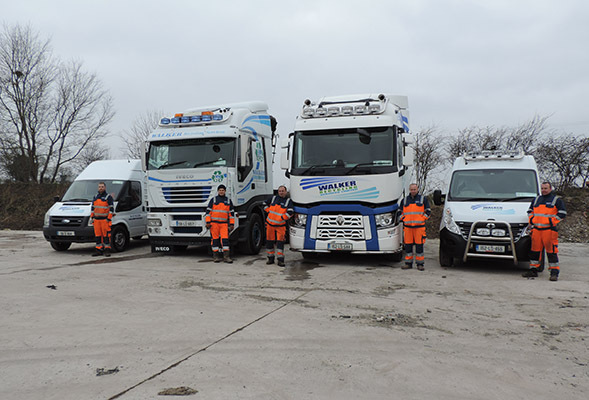 Established in 2007 by Robert Walker, Walker Recycling Services specialises in the recycling of farm waste plastics and are renowned for providing an efficient and cost effective service to its customers. The fundamentals were sound but, not content to rest on his laurels, proprietor Robert Walker put a management team in place back in 2014, spearheaded by Paul Canavan and Tom Lyons of Galway firm Global Material Recycling. Tasked with conducting an overview of the business and its modus operandi, their primary aim was to establish Walker Recycling as Ireland's leading agricultural recycling contractor. And, with a wealth of experience and expertise, the management team is well placed to help the company achieve its goal. Over the last two years, management has been working exceptionally hard behind the scenes in overseeing a major investment and expansion in an effort to ensure Walker Recycling Services realises its full potential. “Along with John Slevin (accountant) and Gary O'Keeffe (Robert Walker's financial advisor), we were brought in to develop the business,” explained Global Material Recycling's Paul Canavan. “And, developing the business means ensuring that Walker Recycling Services are the single biggest contractor for the Irish Farmers Film Producers Group. Walkers is a fully integrated waste management and recycling company with a proven track record in delivering efficient, legal and economical waste management, recovery and recycling solution for its customers. They process farm plastics such as bale wraps and pit covers. They also take in manure bags (the big bags must have the inserts removed) and also spray cans (all bags and cans must be bagged separate). Walker Recycling has an environmentally committed track record which means you can be assured that all activities are carried out in compliance with the requirements of the Waste Management Acts, all relevant Health and Safety legislation and codes of practice. It's the management team's job to fine-tune operations and build on the company's solid foundations. To that end, they have put together a five year roadmap for the business. Underpinned by substantial investment, they are beginning to see the fruits of their labour. The company's Clonkeen headquarters has undergone a facelift inside the last year. “We've concreted the yard which has given us 5,500 sq ft of extra storage for incoming material. In addition, we've introduced systems into the plant to reduce contamination of the material and improve recycling efficiency while we've invested in a couple of new vehicles to help with the smooth running of the collection days. “It's about planning for the future and keeping Walker Recycling Services going as a successful company,” Paul added. “We renewed our contract with the Irish Farm Film Producers Group last April and there are four years left on that while are currently working on landing other contracts. “The company has been doing pretty well and we want to explore its potential further. We invested a lot of money last year, a five year business plan was drawn up and so far it is looking good. “Our intention is to develop further. There has been a general upturn in the economy and agricultural business has increased. “The dairy herd is due to increase by almost 50% due to the abolition of the quota system and there's going to be more involvement in dairy. That means there'll be more plastic to collect. We've seen an increase in that and expect to see a more significant increase in the coming year. Walker Recycling takes pride in maintaining strong mutually beneficial relationships with valued clients and they have both the knowledge and resources to satisfy waste requirements. For further information contact the progressive company at the numbers above.